I spent the summer waiting for baby osprey to hatch. Every day, twice or more a day, I would drive by the nest in the marsh and look for the male or female to be diligently sitting on the eggs. Then, thinking I somehow missed this, I then looked for tiny osprey head peeking over the top of the nest. N O T H I N G. No babies. This is the second year this pair has no offspring. This image is blurred. 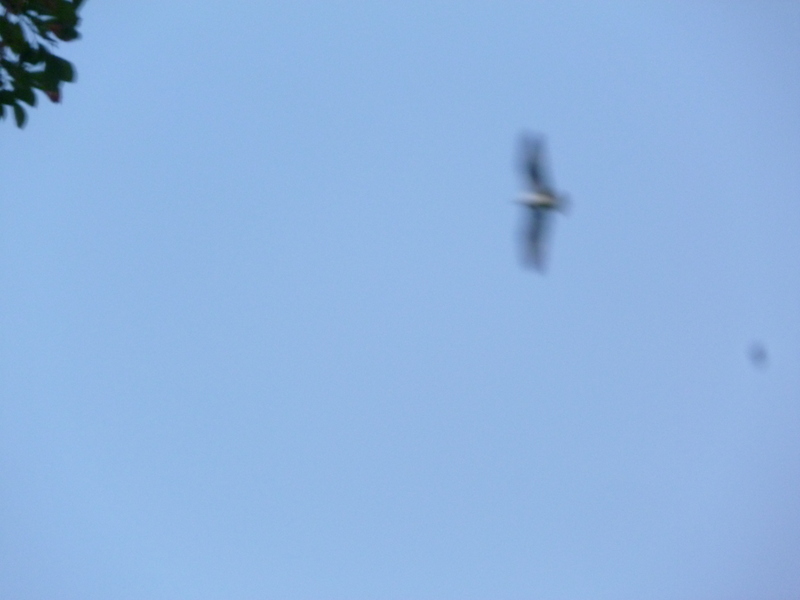 This is an osprey soaring overhead. Soon they will migrate to South America for the winter. Then come back next spring. This entry was posted in Life and tagged columbia, eggs, marsh, Migration, nest, Osprey, south america. Bookmark the permalink.